Pictures like the one above are what we see that makes us want to take the big plunge into the continuously winding hole of being a naturalista. Erase the thought of your hair looking like anyone else’s, same way everyone has different fingerprints…everybody’s hair is different. Gone are the days or way back in secondary school where all you needed to do was wash your hair in the shower and go, maintaining natural hair is expensive!!! And time consuming (bantu knots and twist outs ain’t no joke). Prepare to throw out all those products you could use on your relaxed hair, it is bad for natural hair. It contains ingredients that are bad for the health and growth of your hair. You can’t shop anywhere for hair products as not every shop carries natural hair friendly products and they are expensive. If you intent to go past the TWA (teeny weeny afro stage), you have to invest in a salon that is familiar with natural hair care because all that pulling and tugging will not do your hair any good. Shrinkage is the enemy, natural hair shrinks!!!!!!!! !Prepare to be dazed by how you go from shoulder length hair to a skull cap when your hair is washed. Read up, watch Youtube Videos, talk to people who are already naturalistas , make sure you are properly equipped with all the information you need but NEVER!! NEVER!!! Assume your hair will turn out like anyone else’s brings me to my final point. If you decide to take the plunge, OWN IT!!!!!! You may look and feel like a fish out of water initially, but confidence sells it everytime. Chopped off all my hair over 2 years ago and decided to start from scratch, I am currently a dread head and loving every bit of my hair evolving. 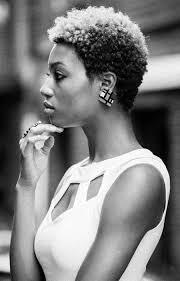 If and when you decide to make the decision, own it and be proud of your tresses.